Sporting goods and sporting good displays are a big business. According to U.S. government figures, U.S. sporting equipment sales at retail sporting goods stores are $44.1 billion yearly. A reasonable estimate of the total U.S. sports market would be $485 billion yearly. The sporting goods industry continues to capitalize on innovation by providing consumers with new materials, design, and materials to optimize performance –sounds a lot like what we at Tusco Display do with our sporting good displays. With the latest trend in Nanotechnology, with the ability to provide equipment with extreme strength and very light-weight, is being featured in new equipment. Sporting goods displays are no different. Building interactivity and even virtual reality into easy to assemble, high strength, light-weight sporting goods displays is important to both the store environment but the consumer. As technology continues to evolve, and fitness continues to become more of a lifestyle, consumers are going to want to be totally connected to their gadgets during their activities. The types of technology applied to sporting apparel and sporting goods is becoming as sophisticated such as sensors being embedded that wirelessly gather information through accelerometers. Eventually, the sports industry will see widespread use of wireless sensors in virtually all kinds of sporting equipment, shoes to bicycles to golf clubs and even apparel such as ski wear and swim suits. Our team at Tusco Display not only knows sporting good displays, but we understand the importance and strategy of omni-channel retailing and experiential retailing. Understanding the connection and exposure our clients are looking to make with consumers and their brands is what we do. 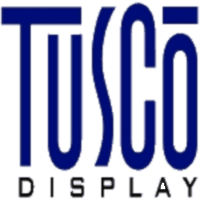 Just as sporting good brands continue to innovate and increase performance for their consumers with technology, we at Tusco Display are doing the same. Our ingenuity, innovation, speed and nimbleness has our clients wining at retail, by promoting their brands and creating loyalty.